This morning we woke to sunny skies and calm winds, as they have been early in the morning. We are staying another day to take a dinghy ride into Westerly, 4.5nm+ ride up the Pawcautuck River to gets some errands done, mainly wash clothes and grocery shopping. It is interesting going up the river. Some areas were very wide though the channel wasn’t. There are many marinas along the river and a couple with gas docks. 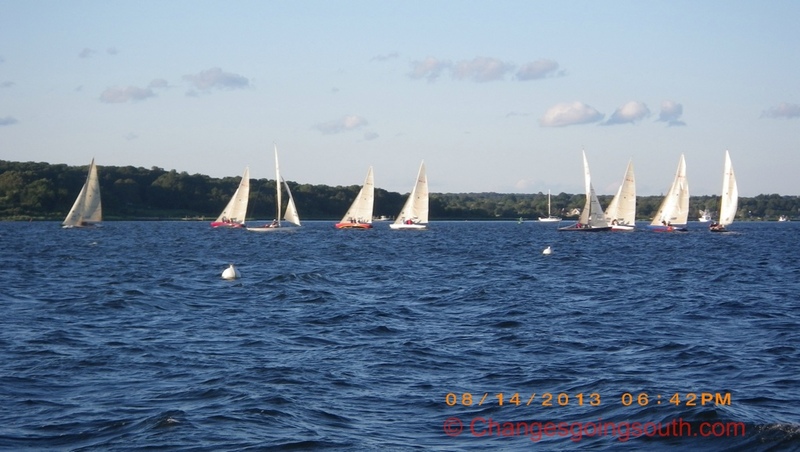 We saw sailboats 4mi upriver, which shows that the channel is deep enough for their keels. There was one old wooden derelict boat just off the channel that had 3 anchors off the bow, one straight off the bow and the other ones off to port and starboard and an additional 2 off the stern. Hope someone fixes up this boat. 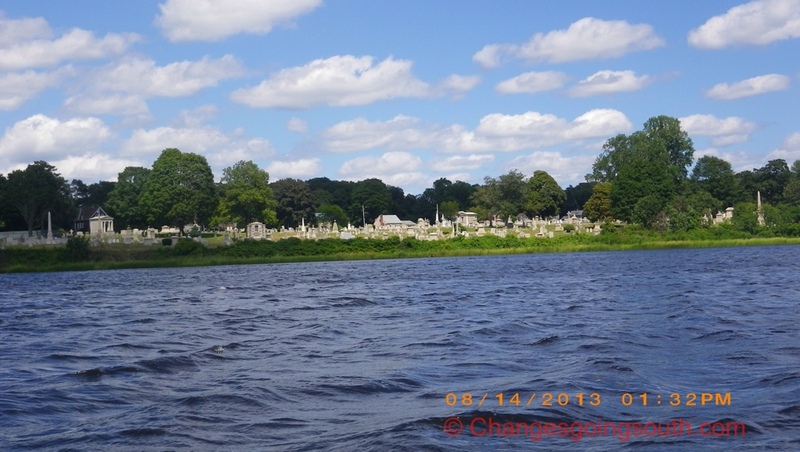 There was also a very big old cemetery just before the river narrowed. The dinghy dock is within a block of everything needed. I know the dock states you can stay for only 10 min, but we were told it wasn’t a problem to stay longer and we found this to be true. We arrived at low tide and the dock was above the water, but later on in the day with the rising tide, the far end was covered with water and even the closer end to the boat ramp was just 2-3″ above the water. As you walk up the ramp towards the street, McQuades Marketplace is across the street just down a little to the right. Staying on same side as the ramp, turn right and in a plaza with a thrift store and a Pizza place is the laundromat about 200′. We started our clothes and then went shopping. It’s been a while since we’ve been in a real supermarket so this was a treat. Loaded down, Phil took the groceries, using one of their shopping carts with permission, to take the food to the boat and put in the trash bags we bought for this purpose while I went to put the clothes in the dryer. After we were done with the laundry Phil and I carried them to the dinghy and then I went hunting for a fishing net as there is also a hardware store to the left of the grocery store. They didn’t have one but I was told down the street just past the gas station was a store that sold fishing gear. It was Watch Hill Outfitters, which we had seen from the river. Mike was very helpful and patient and I left with a used trolling rod and reel, lures, fishing line, and a gaff hook, but decided against the fishing net. If you are in the area, I would recommend stopping by and tying up at their dock or the rocks there and getting what you need. Once we got back and had some sandwiches I got at McQuades, we started on the long way back to Changes. The wind had gotten stronger and we suspected that there would be 2 footers in the cove. Well Phil was right about the waves, for as soon as we entered the unprotected waters the waves started splashing us and we had water coming into the dinghy. I was getting soaked and Phil was also. His new Tilley hat was falling off and when I grabbed it, off went his eyeglasses into the water. I asked Phil if he wanted to bail the water, no. We continued taking on even more water until we got to Changes still afloat! Relief! But we still had to get all the gear off the dinghy with it bouncing up and down and then Phil started bailing the water. We left the engine on the boat and let the dinghy stream behind us. Guess we aren’t going anywhere else today. We are so glad that we weren’t further down the anchorage as we don’t think that we would have made it. And just so you know, we both were wearing our life jackets. After changing clothes and putting everything away, we just relaxed and watch what was going on in the area. Being Wednesday, we were looking forward to the sailboat races in the evening. 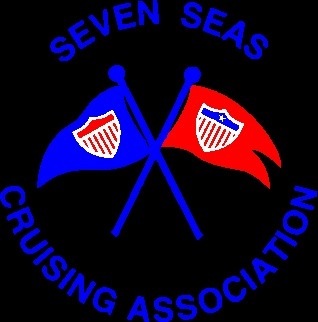 Watch Hill Yacht Club has once class Watch Hill 15 races of about 10 boats. They had a windward leeward 7 leg course with the finish line at the end channel in front of the yacht club with onlookers watching from the deck.
. As the day progressed, the wind started to decrease. We expect it to die sometime at night. 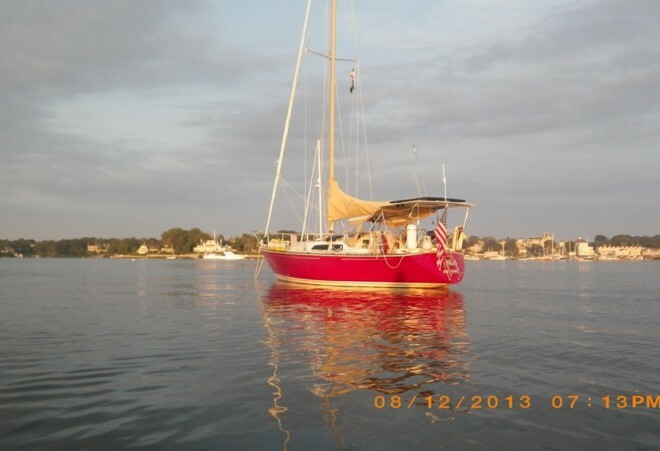 This entry was posted in 2013, anchorages, Long Island Sound, Rhode Island, United States and tagged adventures, fishing equipment, layover, Places seen, Shopping. Bookmark the permalink. I hope you mean Phil’s glasses went into the water in the dinghy, not the river. No the glasses went into the river. He has an extra pair that are a little too small, but work until he can buy a new pair from Zinni Optical online.